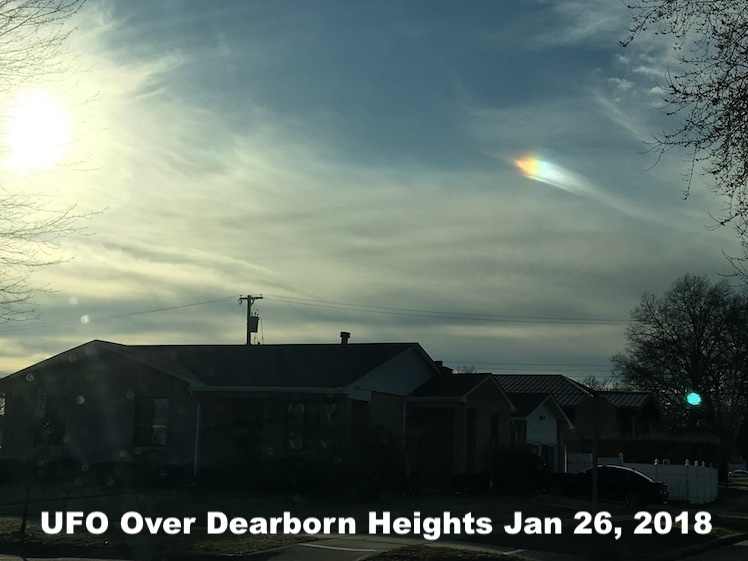 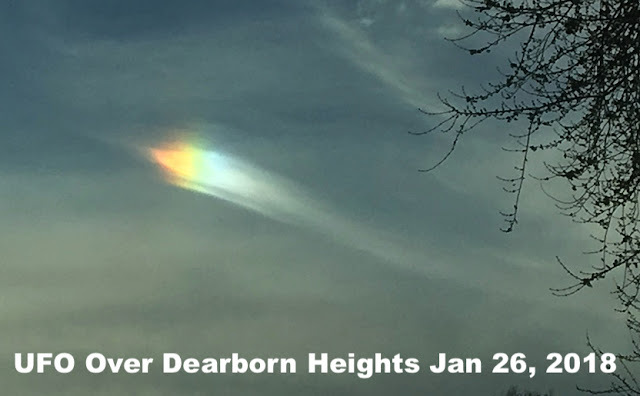 UFO SIGHTINGS DAILY: Rainbow UFO Recorded During Sunset In Dearborn Heights, MI Awesome Photos, UFO Sighting News. Rainbow UFO Recorded During Sunset In Dearborn Heights, MI Awesome Photos, UFO Sighting News. 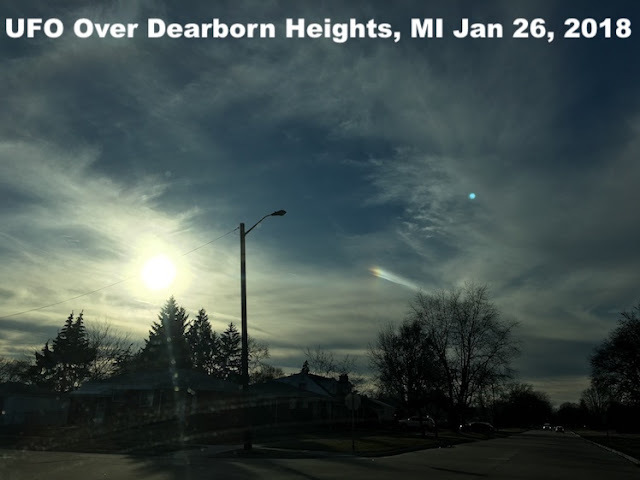 What we see before us is an alien craft that is cloaked, however during sunset, the angle of the sun and the eyewitness were at a 90 degree angle from the UFO. When this happens, any UFO in the area will be visible from a few seconds to a few minutes. 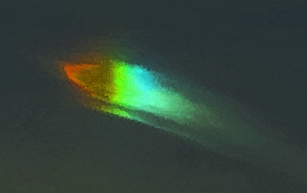 Yes a cloak is just technology...and tech always has its flaws. 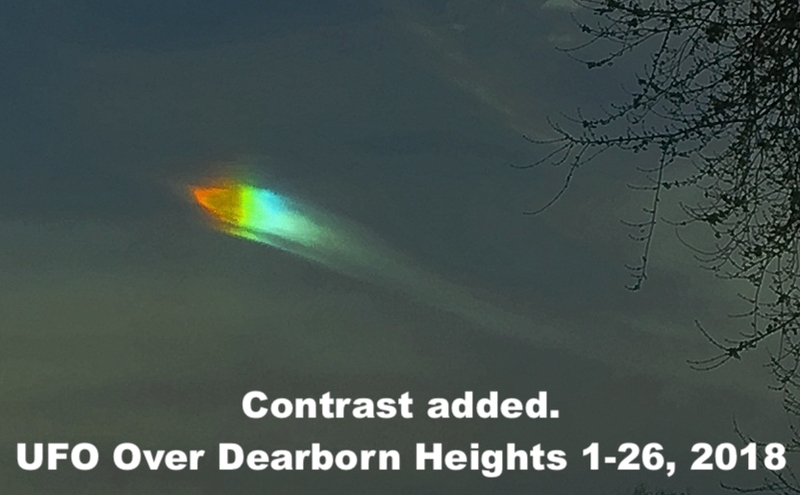 If you look at the photo above where I added contrast only, you will notice the front part of a disk is visible. 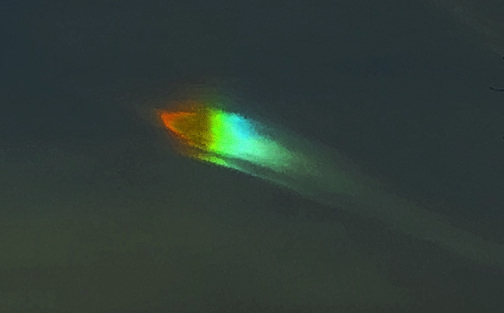 Photo taken in the sky, I did not encounter anything, beautiful rainbow looking thing.